In order to receive a specified rate of interest, the rate should be expressly provided for in the contract. Top three improvement initiatives that had the biggest impact on hundreds of landscape companies in 2018. We take care of people, we take care of plants and more. There is no shortage to the things that we oversee, supervise, manage and take care of. It is in our nature. It is who we are. Changes to an urban soil’s profile can limit successful planting establishment, but understanding these changes can help address site challenges. An opportunity to plant an oak seedling for the 100th anniversary of Armistice at Vimy, France and the chance to share the event with students. Can horticulture find a sustainable path forward? 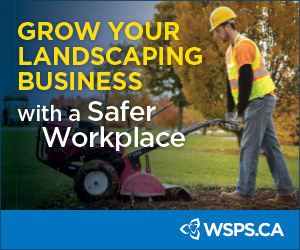 Jacki Hart administers Landscape Ontario's Peer to Peer Network and coaches landscaping pros and other clients. News from the federation of Canada's provincial horticultural trade associations. An overview of types of bonds, applicable limitation periods and claims against bonds. The more we tap into emotional selling, the more successful we can be in our careers. Simple ways to adapt your business to change with the times. The Independent Garden Centre (IGC) Show is an exclusive trade show for independent garden centre owners.